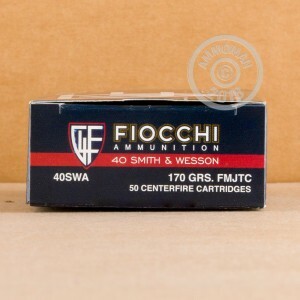 Fiocchi ammunition is a great choice for shooters who want inexpensive ammo but don't want to compromise on reliability or accuracy. 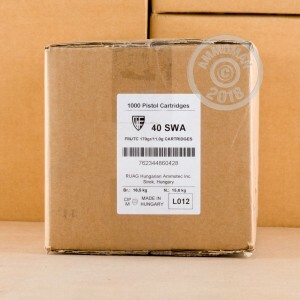 These .40 S&W cartridges come in boxes of 50 and fire a light 170 grain full metal jacket bullet at a muzzle velocity of 1,020 feet per second, slightly faster than the average .40 load. 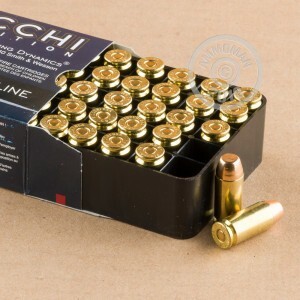 Most Fiocchi centerfire ammo sold in the US is made in Ozark, Missouri using non-corrosive Boxer primers and brass cases. Fiocchi also produces ammunition in Lecco, Italy. Remember to get free shipping at AmmoMan.com by placing an order for $99 or more!